Just got back from a quick business trip to San Francisco. All went well except for the leg back from Dallas to Austin. I got stuck in a nasty thunderstorm which delayed the flight until morning. It’s the first time I spend a night at the airport, a 10 hour delay. It gave me a chance to go through my photographs though. I travelled light with the Olympus OM-D E-M5 Mark II and two small lenses. I also brought the tiny Pentax Q7 with its smallest lens. But the trip, photographically, was about the Mark II. I did some high-tech experimentation that I’ve never tried before, and the results look promising. The image above, from my favorite Chinese Restaurant, used this technique. Nothing too strange except, perhaps, the motion blur. I’ll talk about what I did in an upcoming post. 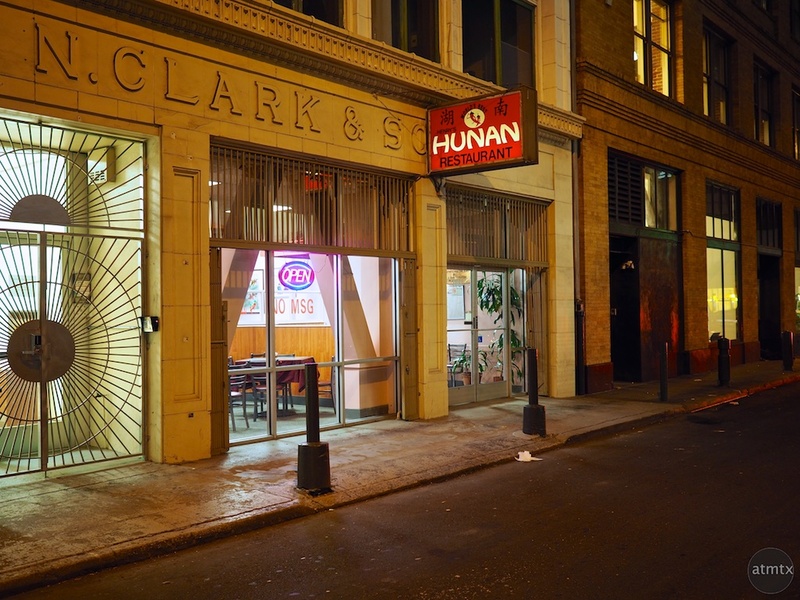 But today, images from Henry’s Hunan Restaurant, which I try to visit every time I’m in San Francisco. As you can tell, it’s not fancy but boy do I love the food, particularly the Kung Pao Chicken. 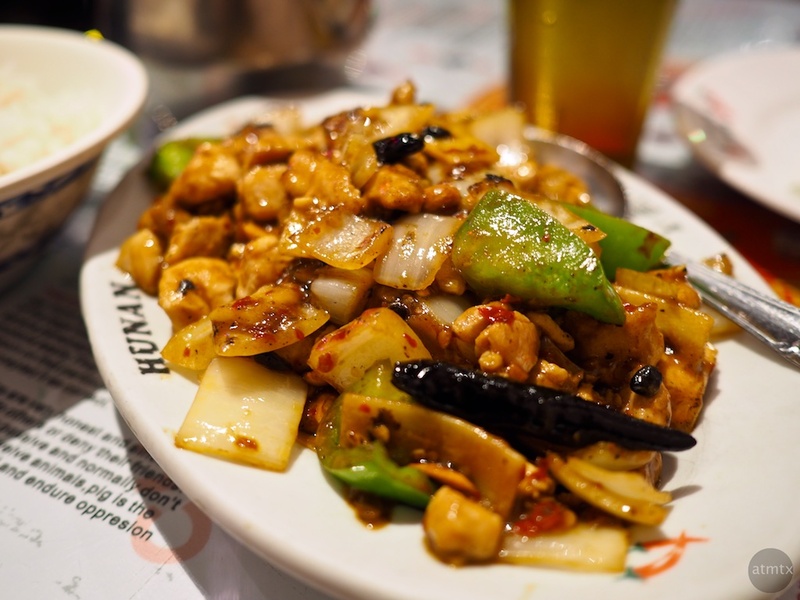 Nothing exotic but what differentiates this Kung Pao from most others is the bitter black beans. The dish is both spicy and bitter which is an unusual and fantastic combination. 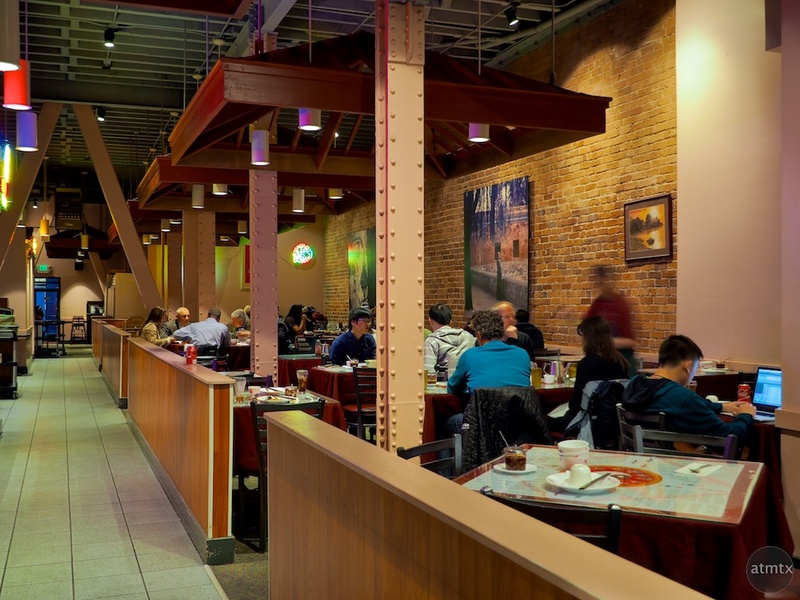 Henry’s now has several locations throughout the city, I went to the one on Natoma Street in the SoMa (South of Market) district. I am very glad I made ginger chicken for dinner or I would immediately have to send out for Chinese food 🙂 And great pictures, too. Ginger chicken sounds great too.